$3000 PRIZE! VIDEO CONTEST!!! Win SMARTCASH For Your Content on DTube, Youtube or Vimeo! -Video is posted to YouTube, Vimeo or Dtube. -Video is somehow related to, about or involving SmartCash, it doesn’t have to be the MAIN focus but it should be a large part of the theme. -Video has a link back to SmartCash in the description and mentions the contest in some format. Be creative, we don’t care whether its a real life video, an animated short, an interview with 100 people about SmarCash or just a clever comedy video related to SmartCash, we want to encourage alot of out of the box thinking with this one so we kept the restrictions simple, we want the most creative, most hard working community members to have a chance to show their skills and be reimbursed for their creative work! 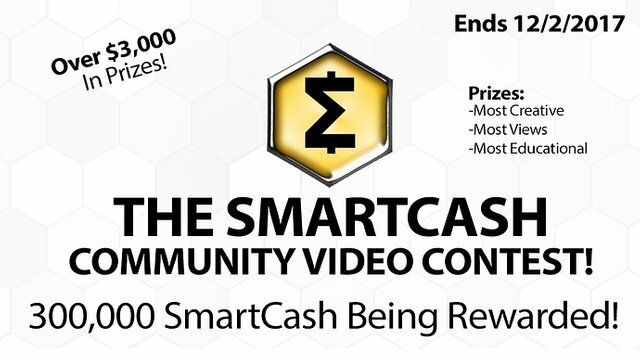 Also note; everyone Video with that qualifies and also includes a SmartCash address in either the video itself or the description will be getting a surprise participation fee, so even if you don’t win it’s worth the time it takes to make a fun video! Questions, comments and submissions below please! We will post a google form link shortly where submissions can be sent for short list consideration in December as well. What an amazing initiative! 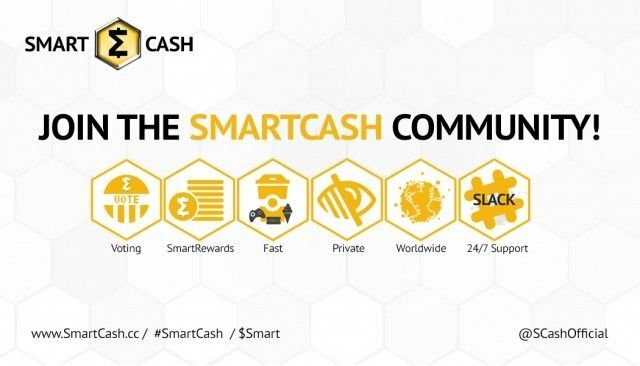 I'm looking forward to seeing what others will bring to promote SmartCash. Unfortunately I'm not great at making videos. Good luck if you're participating in this contest! The @OriginalWorks bot has determined this post by @smartcash to be original material and upvoted it! Haven't really researched smartcash. Will have it checked out! How about referrals? Will you also give incentives?